I am so glad to have this box! Mainly because I've been wanting the Peripera Luggage set for a while now. It was super timely when Althea announced the review opportunity for this beauty box. 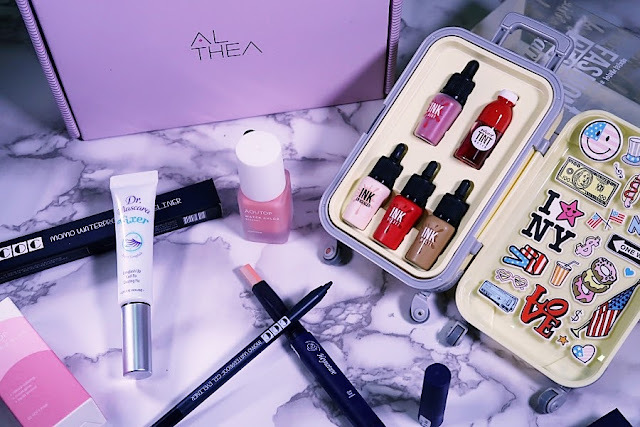 If you don't know, yes, Althea don't just sell affordable and authentic Korean makeup on their site, they have been coming up with new concepts specially for consumers. 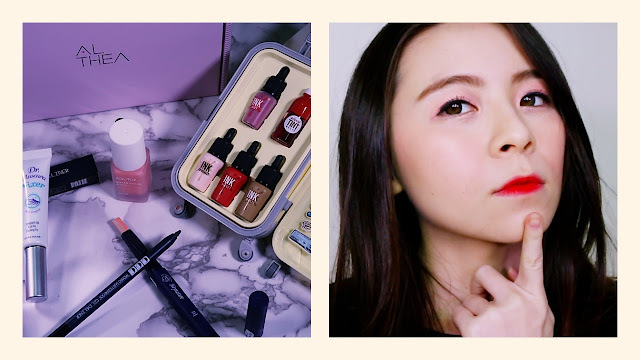 They've recently came up with they first product, the Althea Petal Velvet Powder, which have been raved by many beauty bloggers, and for a while now, they've been producing specially curated limited edition beauty boxes. I've reviewed some of them before (Unboxing, 2nd Birthday, Birthday Beauty Box) but if you want to know more about Althea's Beauty Boxes, check them out here. This time, the beauty box I got is the Althea Wanderlust Beauty Box that cost only RM114.00 but actual worth of RM374.00. Generally, their beauty boxes are really valuable. Thus, many times, they do sell out pretty quickly too. I've done a video below showing the products and how I use them. If you are interested in a more in depth review of each products, feel free to scroll further down. As usual, they package their boxes/products really well. Never once disappoint me but delivery sometimes can be a little slow, experienced it on some occasion when I order a few things myself. Inside this Wanderlust Beauty Box contains 5 items that are meant to be travel friendly. The 5 items are Peripera Fashion People's Carrier in New Yorker (lively yellow), Heynature Dual Eyeshadow in Champagne Coral, Etude House Dr Mascara Fixer Long Lash Up Curl Fix, CoringCo (COC) Momo Waterproof Gel Eyeliner in Black, and Aqutop Water Color Blusher in Soft Pink. 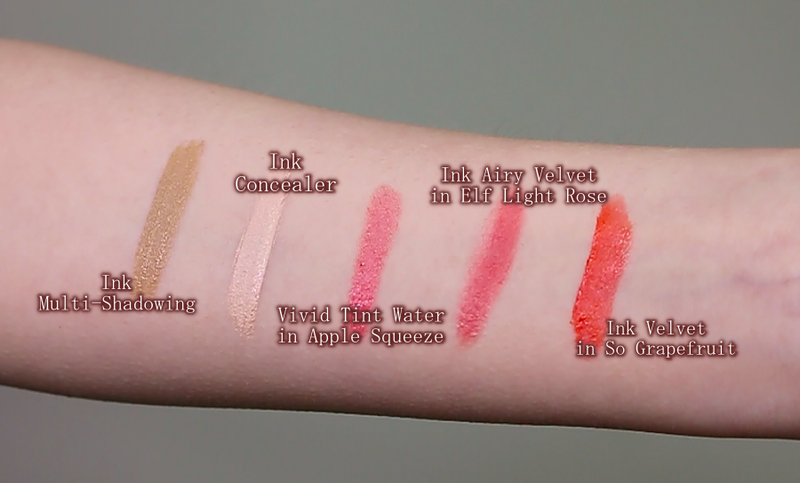 Ink Velvet in No.2 So Grapefruit - Super pigmented, vivid colour, creamy, and long lasting on the lips. 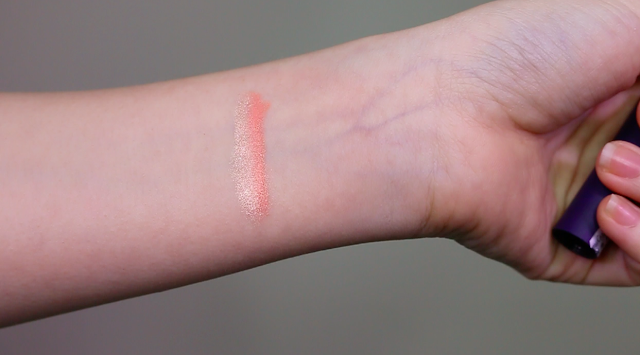 Ink Airy Velvet in No.5 Elf Light Rose - for petal-like lips. 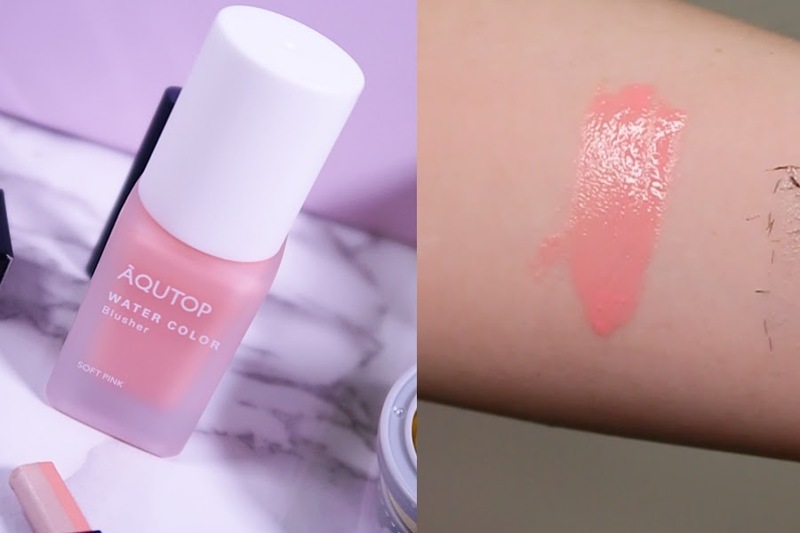 Softer colours, yet still creamy and long lasting on the lips. Vivid Tint Water in No.3 Apple Squeeze - watery in texture that stains the lips. Making it look super juicy finish. 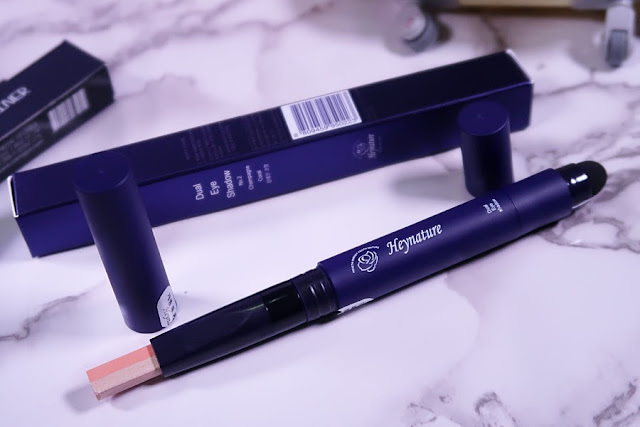 Ink Concealer - acts as concealer and highlighter. It dry down a little more matte, thus dry skin peeps will need to thoroughly moisturise your skin before using this. Covers pretty well, I'll give it that. Ink Multi-Shadowing - for light shading and eyeshadow. Works really well for shading. I love the finish and the blendability. 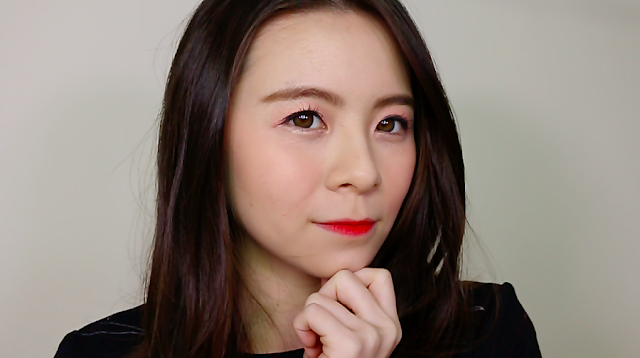 Plus the shade as more of a cool tone look thus, very suitable for Asian skintone. Doesn't make you look too red or dirty looking. No, it doesn't give you that "one perfect swipe" look. Still needs blending, in fact, quite a lot of blending is required to make it look nice. Because this product will turn sticky before it completely dries. Thus, you'll need to work fast. Once it becomes sticky, that's where the problem start and the sponge on the other end doesn't really help, I recommend fingers. Don't get me wrong, the colour is gorgeous and it truly will last super long if you get it right. It just takes effort to get used to the product, and if you are willing to do so, you'll get something pretty and long lasting on the lids. Not my favourite product because I just prefer to work with powdered eyeshadows. I have the other Fixer (pink one) and it truly works well in keeping my lashes stay up even with a mascara that weighs my lashes down. This one brings back memories of when fibered mascara was wildly raved. I too, once loved a fibered mascara because they makes your lashes look super duper long. The fibers does help to extend your lashes. However, one downside is that fibered mascara can get a little messy and you'll have to be careful for it to not fall into your eyes upon application. This particular one is no different, it was still a little messy to apply as it started sticking to my sticky lids, thanks to the dual eyeshadow mentioned earlier. It still works, no doubt. 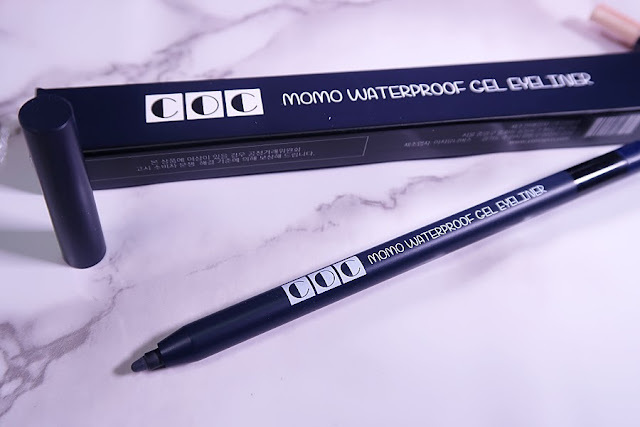 This is clear thus you can apply this on top of a regular mascara to lengthen your lashes while keeping your lashes curled up longer, if you'd like. Black eyeliner is pretty much a staple, a basic that any makeup wearer should have. A real long lasting one is even more crucial when travelling. Whoever picked out this eyeliner for this box gets a gold star from me. It's mechanical that has a mini sharpener in the pencil itself, it's super black, and it's truly budge-proof. Stays on all day like magic. The funny thing is, it's a brand that I don't even know. Now I'm curious what other makeup that have. Highly recommend this eyeliner. I don't particularly love the applicator but I really do like the colour and how it finishes on my skin. It looks so good, gives me a sweet looking flush that's buildable if I want it to appear more on my cheeks. You can of course use a sponge to blend this out but fingers are so much better because it's such a watery liquid that probably will be soaked up by the sponge instead of spreading them around the cheeks. So fingers to reduce wastage. You can also use this on the lids and lips too. For more information on Althea, do visit http://my.althea.kr/. Thank you for the beauty box Althea!